This video will remember us why we played it. Why we keep playing it. Why this game will never be exceeded. Why this game is a Legend. After a week of long days behind my computer while combining videos from the game, it’s finally done. I’ve put parts of my best vids and others from the game and Youtube in one final vid which should remember us of this legendary game. Though I think it still surpasses any other KOTOR tribute on Youtube, I failt you guys, and myself. I tried to make a video worthy of the game’s glory, but that seems impossible. Still, I did my best. This should be my last KOTOR video. At least for some time. Until I have enough inspiration to overthrow this one. Please rate, and comment. The Keeper of the Jedi Archives has entered a new holorecord. Continuing his investigation, Master Gnost-Dural delves deeper into the history of the galaxy after discovering that the blockade that Hylo Visz helped end was a result of the actions of the new Mandalore. BTC 8 – During a Republic resurgence in the Great War, a bold young warrior rose to fame in the Gladiatorial arenas on Geonosis. Adopting the ancient and infamous title of Mandalore, this young leader amassed an army of Mandalorian mercenaries and bounty hunters. The new Mandalore led his forces to form a blockade and challenge the Jedi Order, effectively turning the tide of the war back in the Sith Empire’s favor. Watch the third Timeline holorecord, The Return of the Mandalorians, narrated by actor Lance Henriksen. Succeeding where the jedi had failed, a smugler convoy broke the Mandalorian Blockade and restored the republic’s trade route. 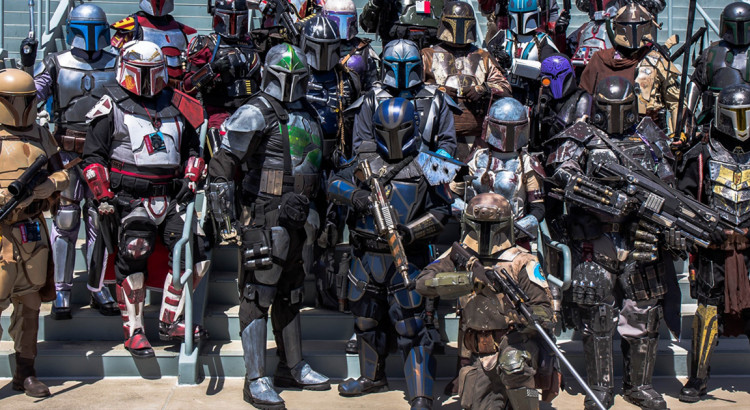 The Mandalorians (called Mando’ade in Mando’a, meaning “children of Mandalore”) were a warlike, nomadic group of clan-based people consisting of members from multiple species. Often, they served as mercenaries and bounty hunters. Their culture revolved around that of battle and war being a source of honor and pride in their community. 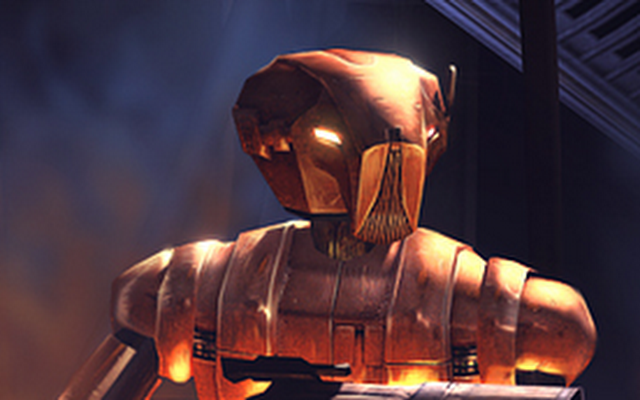 The leader of the Mandalorians typically took on the title of “Mandalore.” Mandalorians were frequently allied with the Sith, most notably Exar Kun and much later as a prototype for the Clone trooper under the power of Darth Sidious and the Galactic Republic, though they would not hesitate to cooperate with the Jedi if it suited them. In later years Mandalorian Warriors wore very distinctive battle helmets with T-shaped visors that covered the entirety of their faces, which would provide inspiration for the helmets of the clone troopers. These helmets would eventually become strongly associated with the Mandalorian people…. Can be found here: Star Wars Expanded Universe Timeline If you are a fan of the modern phenomenon that is the Star Wars Expanded Universe, you know that many have attempted to make sense of the vast media palette that represents the fictitious history of the Galaxy Far, Far Away. Hundreds of stories by nearly as many authors now color (some might say litter) the canvas of Star Wars outside the films. And if you are like me, you discovered fairly early on that it would take some effort to make sense of the whole mess. I’ve looked in a few places and think this is the most comprehensive out there right now. He did say that he is adding quite a bit more later this year.